Is your light hidden or set high for all to see? As a child I used to remember always singing that hymn Jesus wants me for a sunbeam - somedays to be honest I let those dark clouds blurr out that sunbeam. What a great reminder for us to let our light shine in this dark world. That's a fabulous night time cityscape scene aswell. I often think cities look better at night when the lights are pretty. That's a great photo and something to really think about. What a beautiful shot, Marsha. It goes wonderfully with your scripture verse. Awesome shot...I was just meditating on that scripture this week, how to be more intentional as a light to the small circle of people I see daily. May You be richly blessed this week! Yes, we are that light!! I shared that with a friend yesterday. Did you take that amazing photo??? Beautiful picture! I am always asking my kids if they are "shining". What a vivid picture for this verse! 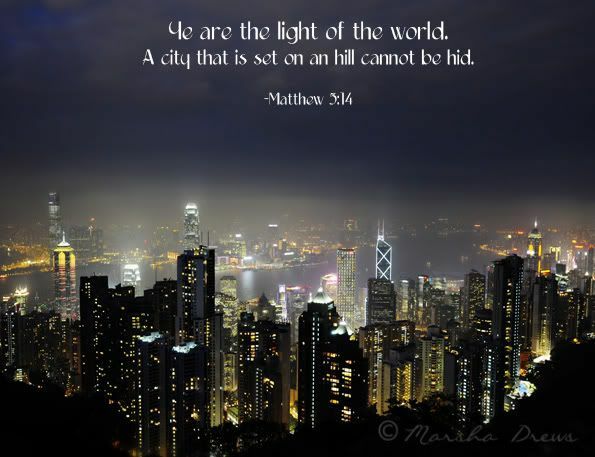 It can be a challenge to be that light, but I pray that we will all shine like your city on a hill. Oooh I LOVE that! I chose that verse as the name of my blog (City On A Hill) I hope one day I can take a pretty photo like that to put on it. You are a very talented photographer. 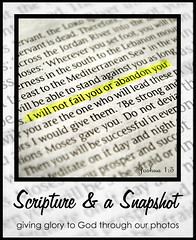 Stunning shot and a wonderful verse to illuminate a message! I love this photo! Great job! Gorgeous! :) I love you! Oh, WOW! That is stunning - and I think this photo really puts a new perspective on that verse for me! What a tremndous cityscape! Perfectly matches the verse as well. Breathtaking shot! And a perfect verse to go with it. Beautiful post Marsha! What a stunning photo for such special words! An absolutely stunning picture and wonderful verse. Hong Kong? I thought you were headed back to Texas? I wonder if you'll go the long way around.